At Advanced Dental Practices, our team of professionals in Wrentham, MA are committed to providing quality care to patients who visit our technologically-advanced practice. When individuals need to repair their smiles with dental restorations, they are urged to visit Dr. Ross Palioca to learn about the benefits of using same day solutions with CEREC technology to fabricate dental crowns, inlays, and onlays. Our dentist is committed to ensuring patients have access to the latest technologies and modalities for achieving beautiful, healthy smiles! CEREC is a special CAD/CAM system that is used in fabricating restorations such as crowns, bridges, porcelain veneers, inlays, and onlays. 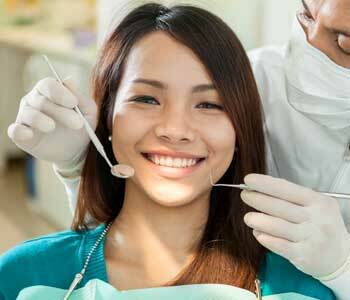 Our dentist utilizes this system to achieve same-day repairs. This eliminates the need for patients to wait weeks for restorations to be fabricated in a dental laboratory. Instead, patients relax in the dental chair as their restorations are made while they wait, often within 20 minutes or less. CEREC restorations are just as strong, durable, and natural-looking as those created by a ceramist in the laboratory, but are completed and placed in a fraction of the time. Dental crowns are restorations sometimes referred to as “caps” that cover the entire visible tooth structure. Dr. Ross Palioca encourages patients to choose dental crowns in certain situations. Patients may need to cover a tooth that has had a large filling or has undergone root canal therapy and is weaker and more susceptible to breakage. Crowns can also cover a tooth that has been damaged and needs extra support. Another reason a crown may be used is to cover a dental implant that is acting as a tooth replacement. These restorations are incredibly versatile and natural-looking. Bridges can be used to replace one or more teeth in a row. These restorations are fabricated with a false tooth known as a pontic in-between two dental crowns, which utilizes the adjacent teeth for support. These restorations can be fabricated using our CEREC technology and created immediately in the office. 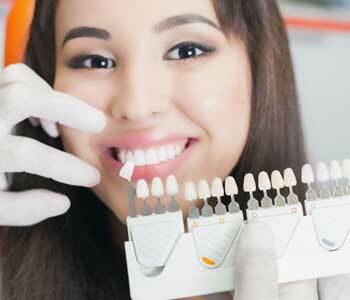 Veneers are restorations made for cosmetic purposes. These restorations are similar to facings that are bonded onto the front of teeth to change the look. It can disguise a variety of imperfections that may be affecting the appearance of the smile. These restorations are extremely thin and require minor preparations of the natural tooth to place. Dr. Ross Palioca describes inlays and onlays as dental restorations that may be used in situations where a dental crown may be too much, but a filling is not enough to repair a tooth’s structure. 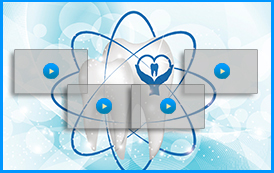 Dental inlays and onlays are easy to create right in our office with today’s amazing technology. The team of Advanced Dental Practices prefers to provide these conservative options when they are best suited for a patient’s specific situation. Patients choose CEREC restorations for many reasons. 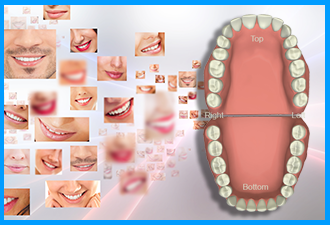 First, because they are made with digital impressions of the smile, they are extremely precise and offer a great fit. Second, they are created while patients wait, instead of patients having to have a temporary restoration bonded in place and waiting for several weeks. Third, CEREC restorations are made to match the color of existing teeth, ensuring that they match the natural teeth in the smile. This has the advantage of making sure the restoration looks like the rest of the teeth and does not stand out as an obvious dental restoration. The team of Advanced Dental Practices in Wrentham, MA offers a wide selection of same day restorations thanks to CEREC technology. 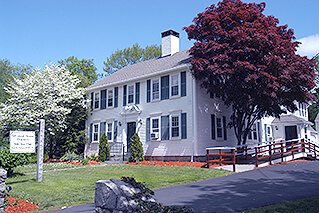 If you are interested in learning more about restorative services available in our state-of-the-art facility, we welcome you to call at (508) 456-7111 and visit the office at 21 East Street. Our biological dental practice accepts new patients and families for comprehensive care.